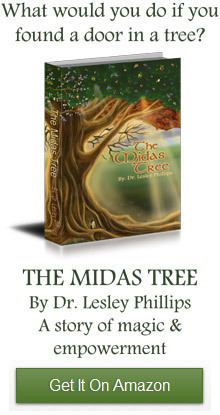 Devandra looks after the leaves of the Midas Tree and assists in the conversion of sunlight to sugar. He is an expert on the biology and chemistry involved in photosynthesis. But he is also a spiritual teacher and tells the hero Joshua all about the healing flow of cosmic energy. Look at the drawing on the right and imagine the spiral of energy at the top of Devanrda’s head flowing in at the back of his head and down energy channels in his back. It flows all the way to the base of his spine and then up energy channels in the front of his body until it fountains out from the top of his head. The energy also branches off near his neck and flows out through the palms of his hands. Devandra presides over forest green energy devas, who ensure the leaves of the Midas Tree are at the best angle to the sun. They help capture sunlight inside the leaves. The name Devandra is derived from “Devendra” which is the name of a Hindu sky god. 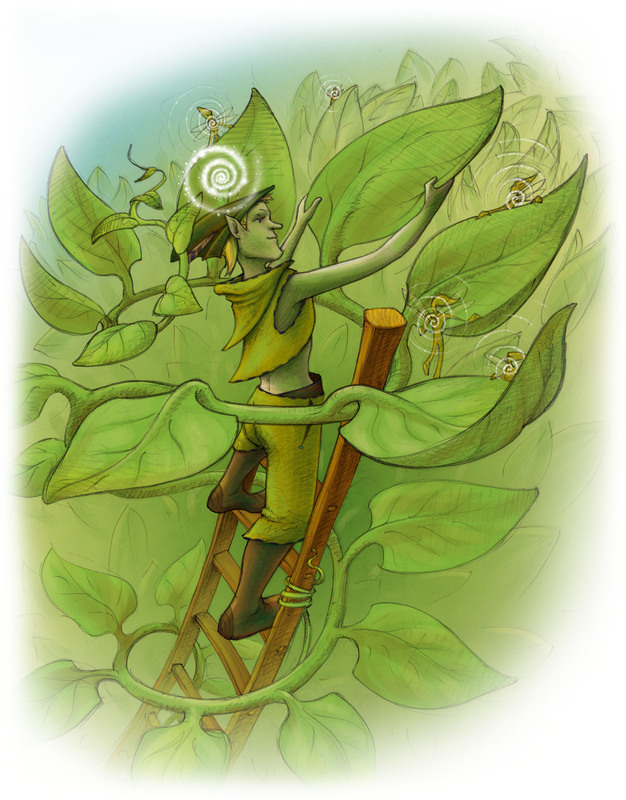 Devandra is about two feet tall, has green skin and dresses in a little jacket and pants made from leaves and sewn together with vine fronds. His belt is made from a strip of supple bark from the tree and he has pointy toed little boots and a little green hat with a feather.